Spec up your dream car...and keep on dreaming. Other people might have useful hobbies that enrich the world and benefit society, but in-between trying to find cars we’ll never buy on Auto Trader what better fun could be had than speccing up pretend cars you’ll never be able to afford on premium carmakers’ websites? 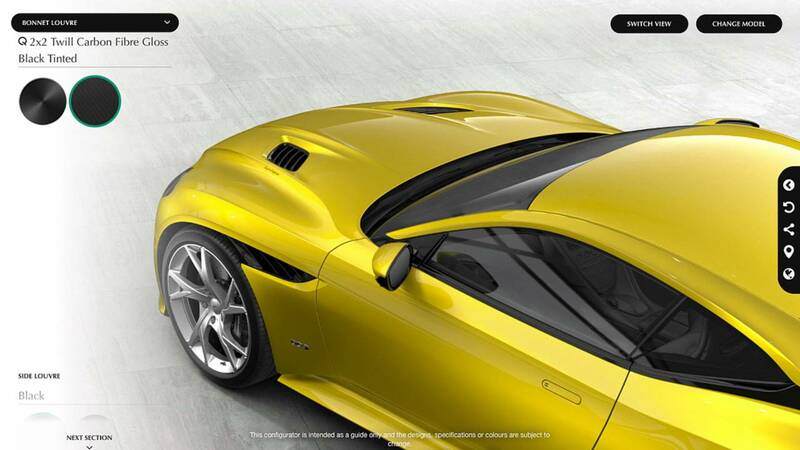 The latest candidate is the Aston Martin DBS Superleggera, which has just been added to the manufacturer’s configurator. There’s a lot of customization on offer – although you can’t change the standard-fit 5.2-liter V12 engine and eight-speed automatic transmission with their 715 bhp and 664 lb-ft (900 Nm) of torque that make for a 0-62 mph (0-100 kph) time of 3.4 seconds and a top speed that’s electronically limited (!) to 211 mph (340 kph). 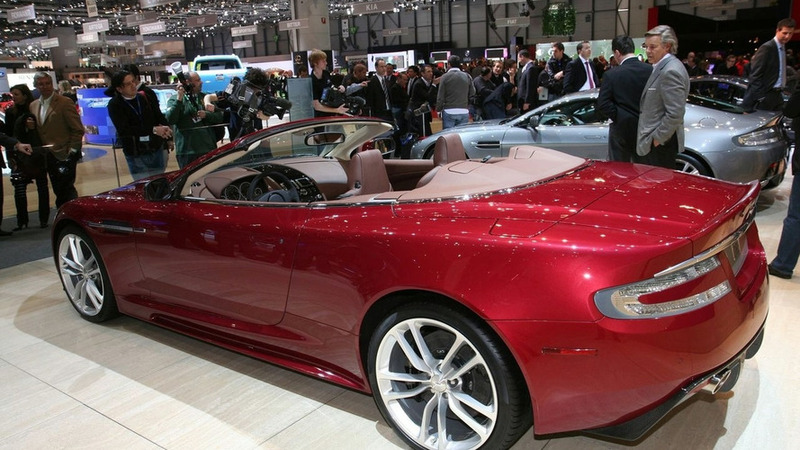 Externally you get to choose from body color, black or carbon fiber-colored mirror caps, A-pillar and roof panel, as well as chrome Aston Martin badge or a carbon fiber cutout. There are dozens of paint colors to choose from, with a few brazen options, plus some distinctive-looking alloy wheels. Inside you can go crazy, with a vast selection of seat trim options, dashboard treatments, roof covers and even different steering wheels. Tick the right box and Aston Martin will even supply you with a set of personalized luggage to get the most out of the teeny storage that comes with such sports cars. If you save your configuration you can have it sent to your nearest convenient Aston Martin dealer and get the car ordered, provided you can stump up the deposit. 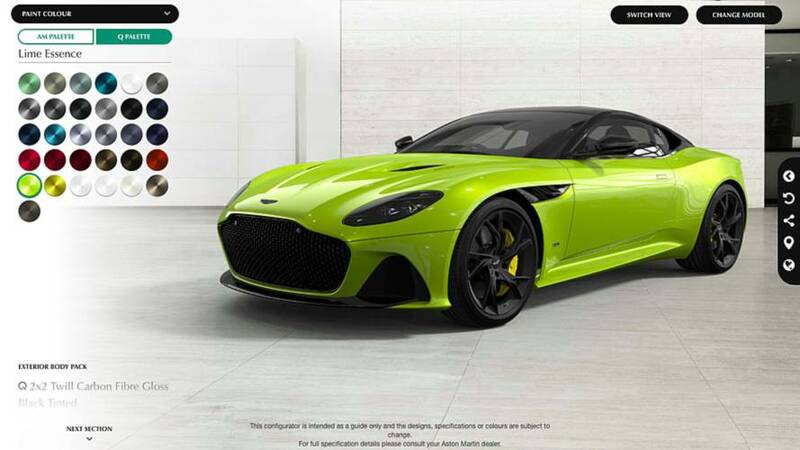 Click the source link below to have a play with the Aston Martin DBS Superleggera online configurator and come up with your own unique version of the crazy new car.